Jaipur, the pink city of India, is the capital of the colourful state Rajasthan. The city is blessed with royal tradition, beautiful palaces, and rich culture. The city’s bustling bazaar sell embroidered leather shoes, pottery, dyed scarves, and other handmade articles. You can visit the amber palace, city palace, Jantar Mantar, Hawa Mahal, Nahargarh Fort, Albert hall museum, Jaigarh Fort, Birla temple and many more places. Many talented artisans are doing good business in this city and slowly contributing to the economy. Such upcoming business owners do need instant financing for emergency situations. 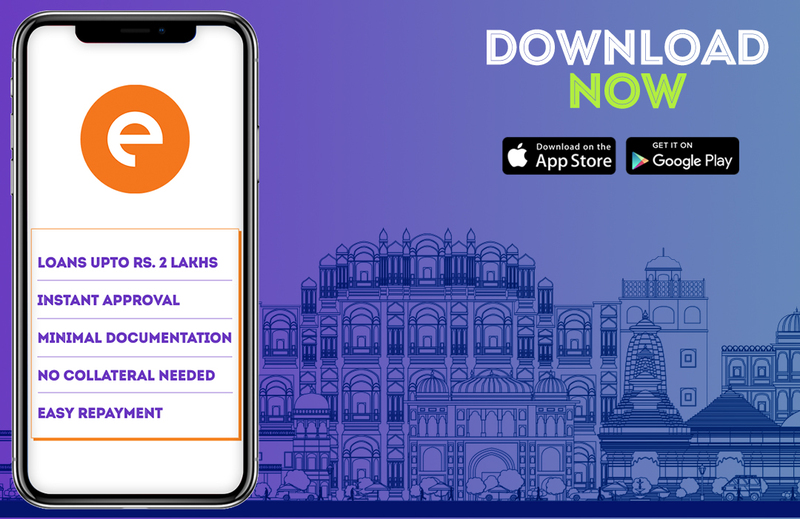 One can now take a personal loan in Jaipur via quick loan app available in the market. These financial lenders provide a short-term loan with minimal paperwork. The process is much faster compared to the traditional bank loans. Your loan can get approved on the same day of application. The interest rates offered by the quick loan app are quite low as the tenure is of short-term. You don’t have to showcase any asset as these are unsecured loans. Almost everyone can apply for a personal loan in Jaipur. Even a salaried employee can get a loan. You have to be between 22 years to 58 years of age to be eligible to apply. You have to be a resident of India. You need to showcase your identity proof, proof of residence and income proof to avail a personal loan. As your identity proof, you can submit your pan card, aadhar card, passport or driver’s license. For your residential proof, you can submit your leave and license agreement, utility bills or passport. As income proof, you will need your audited financial record for the last 2 to 3 years. Apart from these documents, you also need to provide your office address proof and office ownership to the quick loan app. The identity proof and address proof documents are similar in both the cases. As income proof, a salaried individual has to submit his or her bank statement for the last 6 months along with the salary slips. The employee should have a registered company for you to avail a personal loan. The application process is quite simple when it comes to instant loan apps. You have to download the app on your smartphone and register yourself. The app will then ask you to enter the loan amount and the duration of the loan. One can take a personal loan starting from ₹10,000 to ₹1 to ₹2 lakhs. And the duration can be 15, 30 or 90 days. Once you enter the loan details, you can upload all the documents from your smartphone itself. The app takes some time to review the request and then approves or disapproves your loan. The quick loan app directly transfers the loan amount into your personal savings account once the loan is approved. When the due date is near you can repay the app via bank transfer or by depositing a cheque.